Heads up! I link to products and services that I love from time to time. More often than not I have an affiliate relationship with these providers. What does that mean? I might make a small percentage from any purchases you make, but don't worry, you won't pay even a penny more. Thanks for supporting The 104 Homestead. You can see our full disclosure statement here. If you couldn’t guess, Mike is a gardener, but he’s not just any gardener. He is also the owner of Mike the Gardener Enterprises located at averagepersongardening.com If you haven’t checked out his site, now is the time. It’s a wealth of gardening knowledge. There’s a forum where you can ask questions. Not only will other forum participants be there to assist, but Mike the Gardener himself will help you with all of your gardening needs. There are podcasts that are great to listen to while you prep dinner or are driving in your car. If that’s not enough for you, there are free downloads and blog posts all about gardening. Seriously, you need to visit Mike the Gardener’s site. 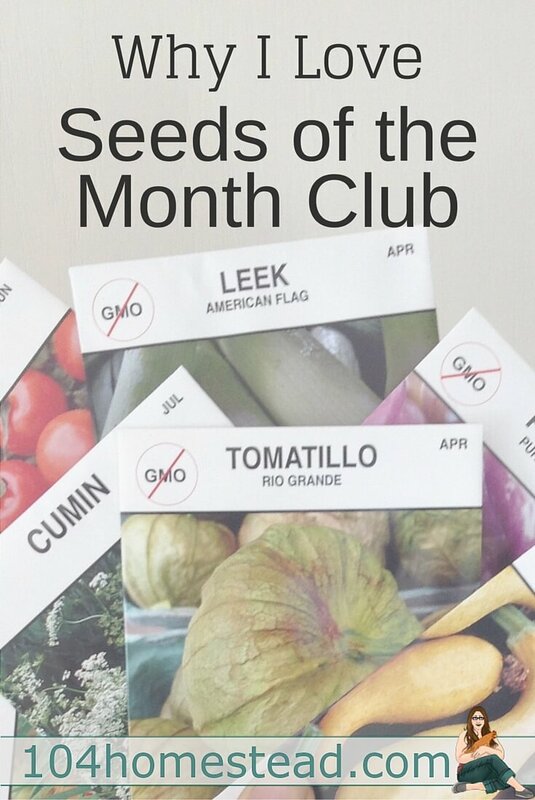 Another aspect of Mike the Garden’s Enterprises is a Seeds of the Month Club. Oh my goodness, you will be in love! The seeds are open pollinated, heirloom varieties and non-GMO. This means that once you plant the seeds and they being producing, you can start saving seeds. All the seeds you receive are specific to your region, so if you live in Maine you won’t be getting guavas. The first month you will receive 8 packets of seeds and then you will receive four packets every month after that. In my very first delivery, I received Hyssop. You can not imagine how excited I was. Those seeds are impossible to find in my area (I should know, I was looking for it since the ground thawed). There is amazing variety in every delivery of seeds. If you follow me on Instagram, you’ve probably seen me share my monthly seed haul. Mike’s site also offers seeds for sale. 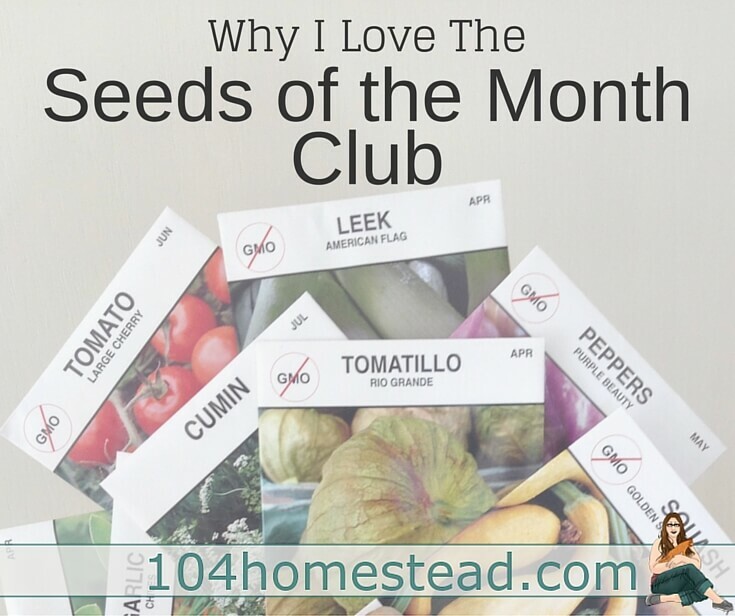 The price is great and the quality is just as high as the Seeds of the Month Club seeds. What happened to Mike the gardener? His podcasts and website no longer work. RECEIVED NOTICE That seeds of the month is being discontinued. As a l have a lifetime subscription, will I receive a refund? Hi Jessica, this all sounds great, and I did sign up for it, paid for it months ago and have not received any seeds, only his online newsletters. I’m so sorry to hear that. They are really great and that seems very out of character. I recommend emailing Mike at [email protected] and letting him know. He’s great at responding quickly to emails. Thanks for the great rundown of the program! What a great idea for getting seeds into every gardener’s hands. I am new to all of this, but started saving heirloom seeds last year, with plans to save a lot more this year. My garden is about 95% heirlooms this year. That’s awesome Alicia. 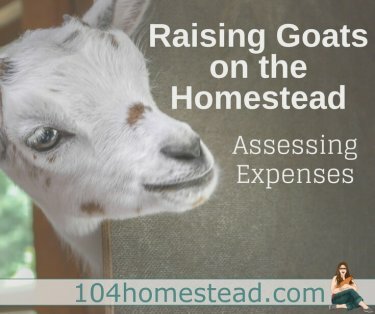 Like so many homesteading habits, there is not only financial gains from providing for yourself, but it’s more rewarding than depending on others. Even if it’s something as simple as a seed. Thank you for bringing me on board Karen. I was going to “gush” about Mike the Gardener anyway, but letting someone see how awesome the membership is makes it even better.